Professor Steve Macleod is inspired by the Pictorial movement popularised in the late 19th and early 20th centuries. For a pictorialist, a photograph, like a painting, drawing or engraving, is a way of projecting an emotional intent into the viewer's realm of imagination. His works often utilise chiaroscuro elements of light and shade creating a melancholic, expressive mood. His practice operates in a zone that discards the modernist approach to ‘scientific’ realist interpretation for one that references Tonalism (a progressive school of American landscape art from 1880-1920) – often on the periphery of vision, one experiences environmental aura rather than a topographical recording of nature – visual metaphors describe historical and humanist subjects that connect us with the environment we inhabit. 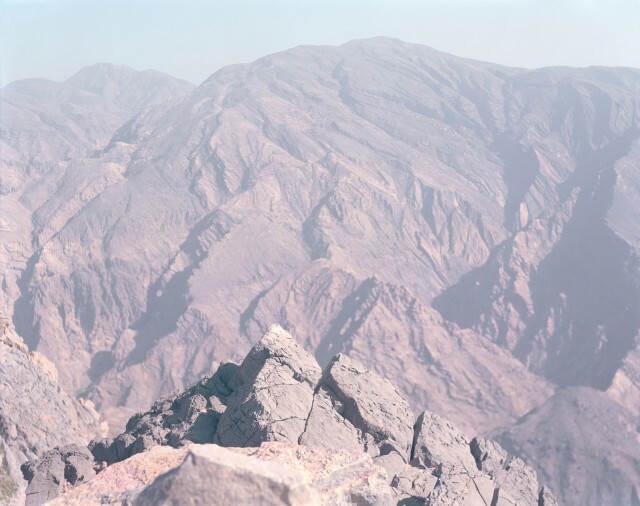 His work suggests, rather than explains, inviting the viewer to question rather than understand, and in doing so breaking the rules for what is readily accepted as ‘metric’ landscape photography. He aims to recreate the impression of what we experience with the eye and less so by the camera lens. The lens records, the eye creates. Macleod uses nature to share the conceptual impact and influence it can have on our emotions; our health and our imagination. He belongs to the landscape he photographs, immersed in the environment, there has to be definite motive in making exposures. One that is drawn from and driven by something deeper than technical counsel. Motivated by light and season, the images he captures reside as metaphors for deep-seated meaning and reflection, often in conflict with the atmospherically beautiful images he creates. Macleod shoots on large format with a consistently systematic and meticulous approach so that he can absorb and slow the pace of the images. He creates a stillness, a sense of extended present time through narrow depth of field and camera movements, there is an obtuse visibility of detail – the aim is to question what lies between the elements beyond and within photographs, by decelerating the process of photography, with a distilled focus on the basic principles of making. Creating work that is sparing on substantiation and often fuelled with ambiguity, heightened by the lack of humans but with evidence of human kind; undertaken with consistent viewpoints, illuminated only by available light, Macleod attempts to depict a state of mind; a potential fiction, a sense of place rather than a derivative recording of space. Each location is real too, but the reality is, it could be anywhere that the viewer wants it to be. Represented by Black Box Projects, Macleod regularly exhibits and works are held in both private and public collections. Macleod is also an educator - a regular lecturer and speaker on photography subjects he is a respected industry professional with decades of experience. He is a Visiting Professor at Univeristy of Suffolk; a Trustee of the Queen Elizabeth Scholarship Trust (QEST); on the Patrons Board at the National Portrait Gallery, London; a Trustee on the Board for National Open Arts and Lifetime member of Frontline Club in London. He also runs a successful mentorship programme for emerging artists.